Every year I remind my children of the real life, historical St. Nicholas and how the many portrayals of him down through the years have honored his memory of doing good deeds and giving to the poor. This adorable Santa card is a cute idea I received in a swap a few years ago, and have unfortunately lost the provenance. My thanks to whomever first thought of the scallop circle beard idea! You'll need a card base of some color (I used Wild Wasabi) and Blushing Bride, Poppy Parade Basic Black and Whisper White cardstock. I also used the Tags 'Till Christmas stamp set and Poppy Parade ink to stamp this fun message inside! Cut your Scallop Circle on the Big Shot and fold in half. Stamp the desired saying inside. Adhere to the bottom half of the card. To give Santa his rosy cheeks, use the sponge daubers to lightly blush two circles onto a 2x3.75 Blush Blossom strip. Adhere the face piece to the card as well. Punch two petals of the Five-Petal Flower punch from Whisper White for the mustache, attaching it centered on the beard with a dimensional as shown. Punch two half-inch circles from Basic Black cardstock for eyes, accenting with a white gel pen. Punch one of the new small oval punches for the nose and put it on the mustache dimensional. Isn't he cute? The hat is free-handed... yes, I know everyone hates free hand! Luckily, a Santa hat shape is super easy. Start with a rectangle of Poppy Parade that is about 2.25x4 and make a kind of half oval, with a pointy part stuck out to the left. The Whisper White scalloped edge brim piece started out life as a 1x4.25 strip. And the fluffy ball on the end is another half-inch circle punch. That's all there is to him! Santa makes an adorable bag topper, too--just attach one inside of his beard to each of the sides of the bag, using dimensionals or even velcro! 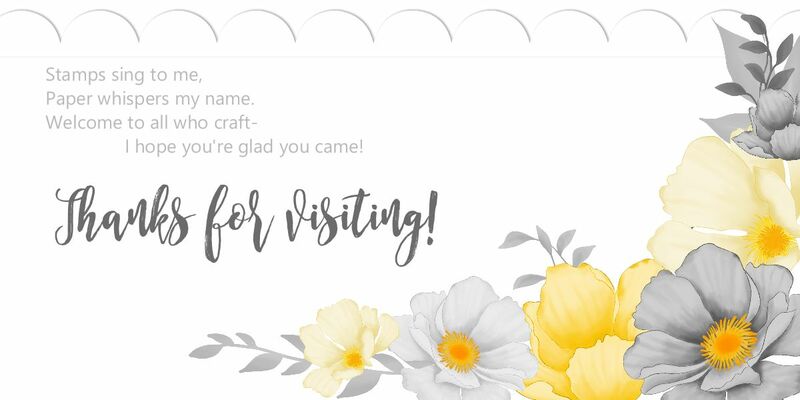 All of the products and colors pictured here are available on my shopping website, www.lyssa.stampinup.net if you are in need of anything to make this cute card. Happy crafting this fine snowy weekend! This is a great kid card! You have a great site. I would like to follow but see nowhere to do so. I am not overly good on the computer so I may be missing something. Love the card and the rosy cheeks tip!